Interview by Benson Macharia of the Kenya’s newspaper, Daily Nation. 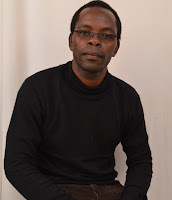 Vincent de Paul is an author, editor and founder of Mystery Publishers- a self-publishing platform with editors from Kenya, Nigeria and South Africa. What was your inspiration to become an author? I developed an interest in writing while in high school. I was inspired by the urge to right the society and revoke vices through my writing thus I participated in national writing competitions. I wrote the article titled “Stop Child Labour, School is the Best Place to Work” for a competition that was organised by Centre for Law and Research International (CLARION) in 2003 and was among the top five winners. Ever since then, I have not looked back. How long did it take before you published your first book and what were your biggest challenges as an aspiring writer? From the time I finished the draft of my first book in 2004 while still in high school, I spent seven years before I published it, First Words, in 2011 which is a collection of poetry. The book had won the 13th Nairobi International Book Fair Literary Awards in 2010, which were organized by the National Book Development Council of Kenya. The biggest challenge was to get a publisher to publish the book in Kenya. I knocked doors of all main stream publishers in Kenya but they rejected the manuscript—they said Kenyans don’t read poetry and that they wanted a book they could sell to schools. A year later, I gave up on looking for a publisher and a Facebook friend from the USA introduced me to self-publishing.